Amongst the many occult publications that have come to light in recent years there is a tendency towards veiling and obscuration, sentimental journeys of power spread across the pages, revelling in darkness that in the end goes nowhere but back into the chaotic mass is surged from. In this landscape Holmes’ LeMulgeton gives a freshness and solidity that I hope we will see more of. He states the premises of his study clearly, and through an analytic survey of the material at his disposal and interest he presents an analysis and application of the two cuneiform tablets known as MUL.APIN (where the oldest fragments date to around 686 B.C. but are far older than this). The amount of fragments we have at our disposal makes these two tablets amongst the most complete documents we have concerning Sumerian astronomy and astrology, which makes the entry point of this book very interesting - and in this pitfalls can be found, the greatest being to look back on the past with the eyes of the present and in doing this discard the entire matrix of evolution from one form to another in favour of forcing a particular point of view. Holmes avoids this trap with grace. He approaches his material with the mind of an archaeologist who seeks to discover layer by layer what we are dealing with, suggesting and commenting on his findings, but avoids drawing final conclusions. 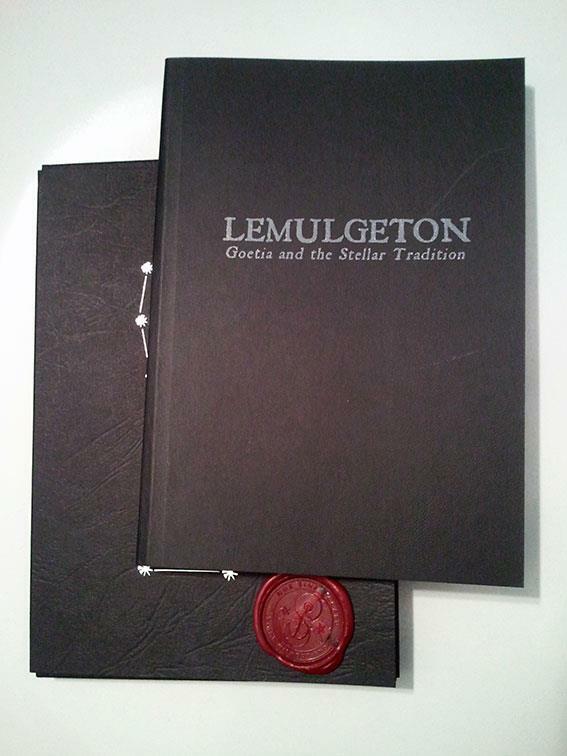 I find this attitude to ones material to be immensely refreshing and in doing this the book is an invitation to further musings upon the stellar nature of goetia. During the missive he makes synthesises and association with the tarot, with the spirits of Lemegeton and with the stars and constellations - and he does this in a way that widens the mystery’s landscape... and in this he reveals a most clever text that seeks to ignite further knowledge. There is overall much good to say about this book, but the best thing is that the book makes you reflect and ponder; it ignites a wish for delving deeper into the place where the blood of stars meets earth and death. I always saw a deep connection between the stars and the dead and it might be because of this I took an immense liking to this book. Because after all stars are suns, and suns are souls and in order to ascend, to become a sun and a star we must die so we can shine on... this is the airs and waters that carry this text. 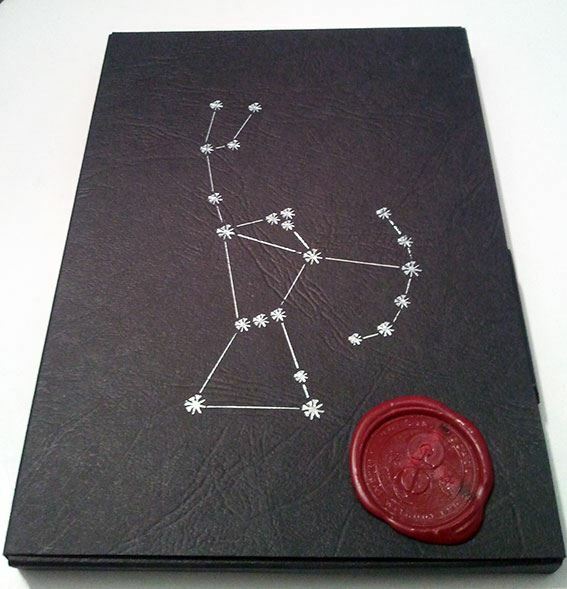 In order to support this stellar idea of goetia he applies the seals of the goetic spirits to constellations, which is quite revealing – and makes you ponder and question further. This is a book that provides an incentive to look back so we can walk more steadily forward. Holmes aims solely to give a track of star blood to our search to find our way back to where we once were, and bring this wisdom back into the present, tracing his steps with care and respect. In this pursuit alone I would salute this book, in its way of presenting a personal great discovery as a comment and a lantern on the track. This book is a commentary on a field of general occult interest. There is humility here - and also a desire to share – which I find rare in contemporary occult writings. Holmes gives his text to the world as a landscape, an open field, an invitation to further fertilization. This text is 72 drops of starblood that invites to a greater symposium of stellar goetia. I wait in anticipation for the further unveilings of these mysteries.